Architect and designer Christian Wassmann explores the interaction between geometric forms and the space we inhabit in a new exhibit, 5 Platonic Objects, presented at R 20th Century Gallery. 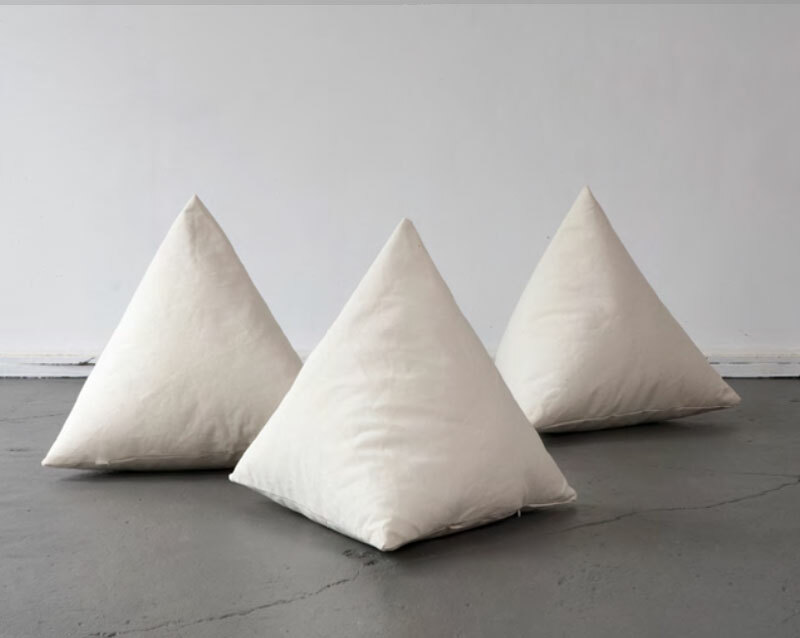 The show features five objects—such as a pillow or vase—that are inspired by each of the platonic solids: tetrahedron, hexahedron, octahedron, icosahedron, and dodecahedron. Wassermann, born in Switzerland, opened up his own practice in New York City in 2006. His works runs the gamut from furniture and installations to architecture and interiors, which has included Robert Wilson’s Byrd Hoffman Watermill Foundation, East Village Radio, and an apartment and private showroom for Lisson Gallery. The exhibition is on view March 5th through April 20th.